At Every Body Balance, we know we just see a slice of our community come through the doors of our fitness training studio. That is why we have workshops and events. These exciting opportunities allow us to go out into our community, to clubs and companies and bring fitness to more people. Our workshops allow us to empower you with insights, knowledge, and new information. 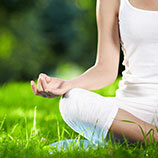 Whether your company needs some stress relief or your family could bond over some relaxing yoga, we are your solution. Explore the links below and contact us today!